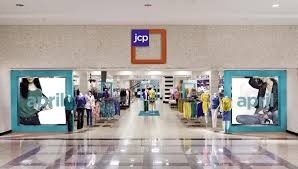 J.C. Penney Co. (JCP) plans to close 33 stores and eliminate about 2,000 jobs to help save $65 million a year as Chief Executive Officer Mike Ullman tries to turn around the money-losing retailer. The closings and cuts will result in pretax charges of $26 million in the fourth quarter and $17 million in future periods, the Plano, Texas-based company said today in a statement. Ullman, who returned in April to replace Ron Johnson, has reversed much of his predecessor’s legacy. He restored promotions, popular private-label brands and an old logo and ended a strategy of remodeling the stores into collections of boutiques. The chain has posted nine straight quarterly net losses. The closings represent about 3 percent of J.C. Penney’s stores, and the job cuts would be about 2 percent of its workforce. J.C. Penney rose 2.1 percent to $7.16 at 4:08 p.m. in extended trading in New York. The stock tumbled 54 percent last year. Posted on January 15, 2014, in #international, #retail. Bookmark the permalink. Leave a comment.